Do a little dance. Wear a little quartz. And every move will be simply stunning. 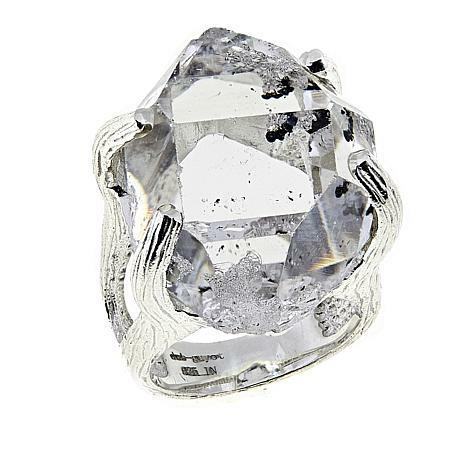 This ring flaunts beautiful double-terminated quartz crystal, already faceted by nature. 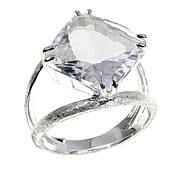 There's so much wow-factor in this ring, it's destined to be your partner for a night on the town. Each stone is unique and may have inclusions, openings and/or cavities which are a natural part of the quartz material. 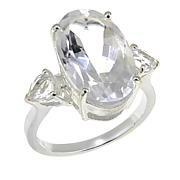 Big easy to wear Herkimer! I fell in love with this stone. 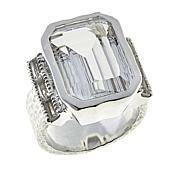 Big, bold Herkimer ring packed with style and enduring quality. Invite this beauty into your heart and your jewelry wardrobe. Mambo is right! It's an amazing size stone. My stone has a small druzy ghost in it which makes it extra special. Thanks Deb for this creation. 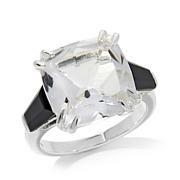 I love the look of this ring, but I have small hands and this just doesnt look good on me. But if you like big rings, give this a try. It looks well-made, and the stone is beautiful. Ring I received, definitely does not have the clarity of the stone shown on TV. It looks more like the picture. Included (which they did disclose during the show), cracked inside the stone and one of the ends broken off and rough to the touch. It looks like a pear shape, which I am ok with, but than it should have been set to have a proper pear shape not crooked. If youre a perfectionist you wont be happy with the stone. If you are a free spirit and artist at heart, youll love it. You know how you open the box and gasp and then put it on and stare at your hand. Well that didnt happen. I know it has inclusions but it was nothing but inclusions, scratched on the bottom and one point was broken off and should have been smoothed. Also ring fit loose and rolled on finger. So disappointed.